A treasure of a getaway for a perfect vacation and only 2 miles from downtown Leavenworth, Icicle Creek Lodge is one of our newest surprises! Recently constructed and beautifully designed, this comfortable and attractive destination is located just a short distance from town, yet provides all the peace and beauty characteristic of the outstanding mountain view setting in which it rests. 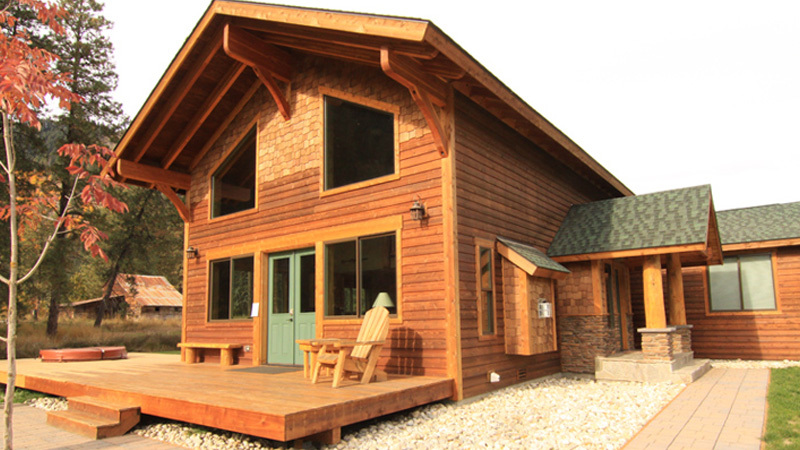 Ideal for a family vacation, Icicle Creek Lodge has 3 lovely bedrooms, 3 baths, and a bonus loft area all wonderfully tucked into its cozy cabin design. The “rustic elegance” of its decor creates a welcoming ambiance to completely relax in after a day of hiking, recreation, skiing, rafting, or celebrating one of the town’s many outstanding festivals. 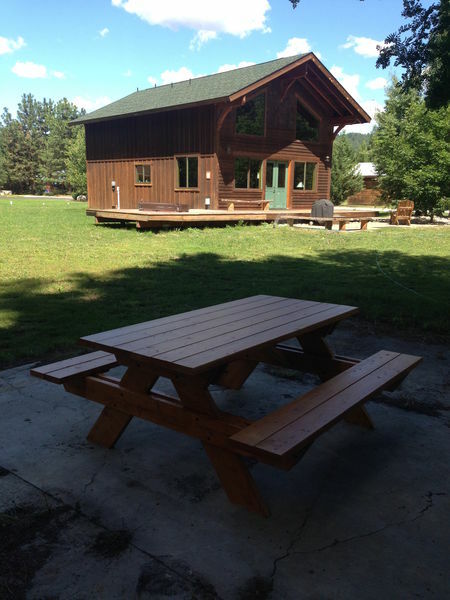 Fully equipped and beautifully furnished, Icicle Creek Lodge has everything to make your stay comfortable and pleasant. Featuring a cozy river rock fireplace, vaulted ceilings, hand-hewn log staircase, hardwood floors with slate accents, and barn wood wrapped windows, Icicle Creek Lodge is definitely going to be one of your favorite escapes!